What kind of statistics does the Firewall collect for each application? — Dr.Web — innovative anti-virus technologies. Comprehensive protection from Internet threats. What kind of statistics does the Firewall collect for each application? For each application that uses Internet access, the Firewall collects statistics related to incoming and outgoing traffic. select an application you are interested in, and in the newly opened window, go to the "Statistics" section. 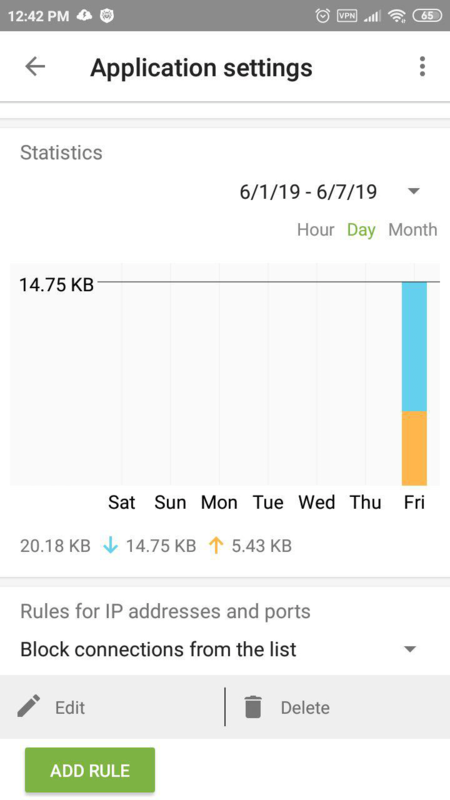 Here, users can find complete traffic information (incoming and outgoing) for the application and a network-usage diagram. 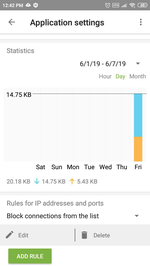 Users can see how much data the application received during a defined period.